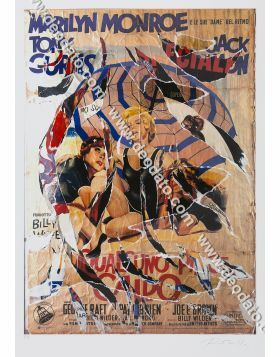 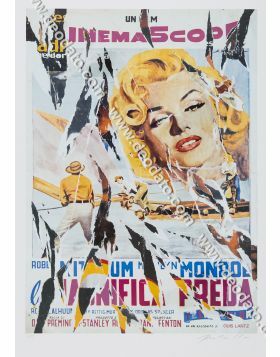 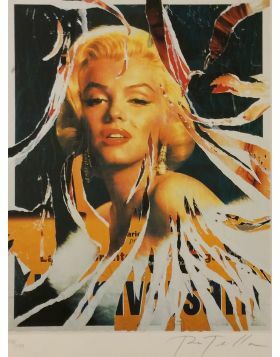 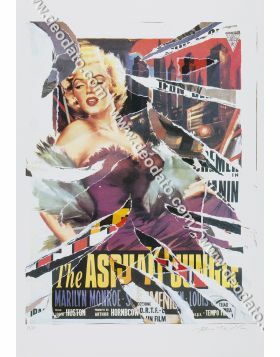 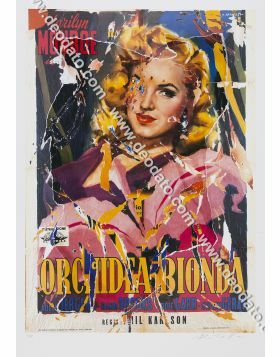 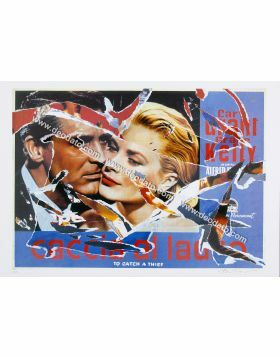 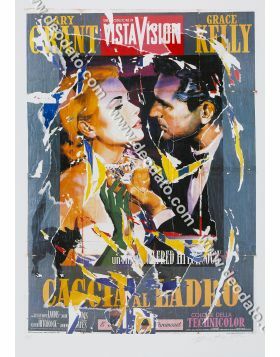 Mimmo Rotella's SeriDécollage dedicated to La Dolce Vita 1960, directed by Federico Fellini, starring Marcello Mastroianni and Anita Ekberg. 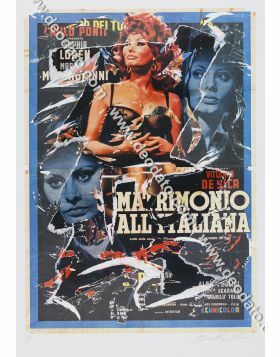 The film represents an icon of the Italian cinematography; the interpretations of Marcello Mastroianni and Anita Ekberg were recognized by the world criticism and the signature of the big Italian director Fellini made this film a real masterpiece. 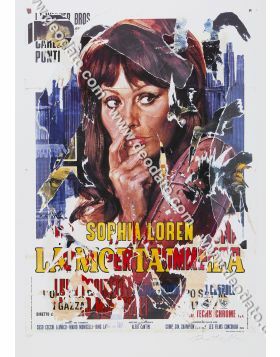 Romantic but uneasy, surely fascinating, the film represents a dive in the Rome of that years. 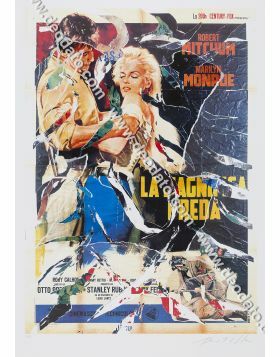 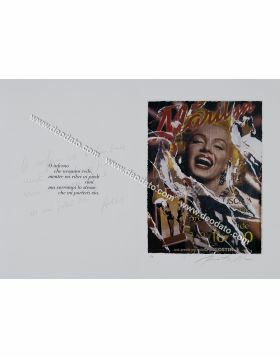 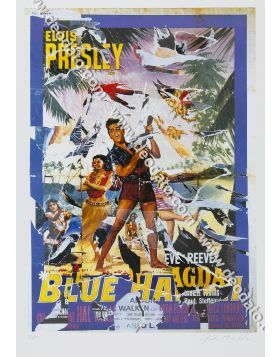 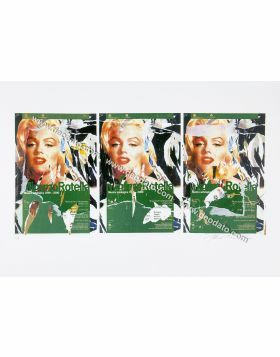 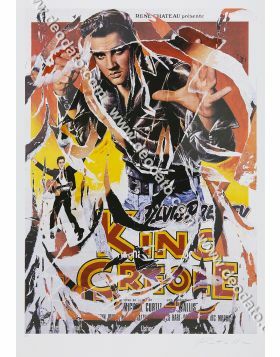 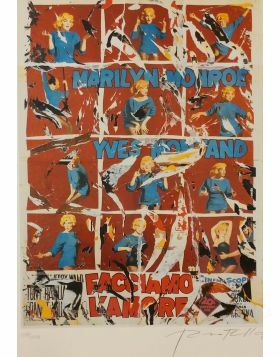 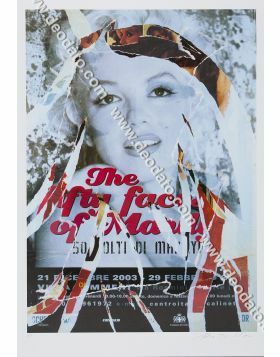 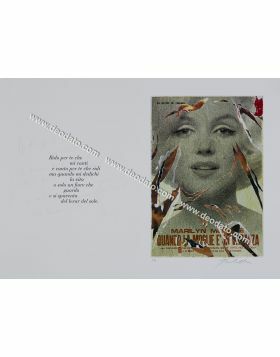 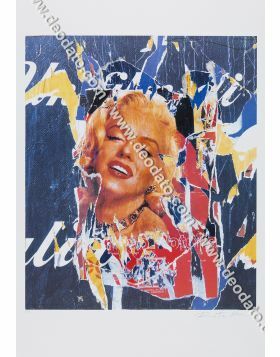 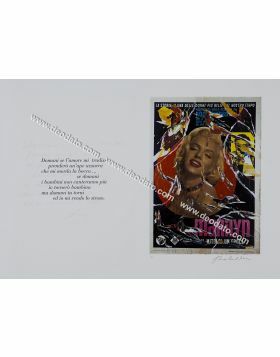 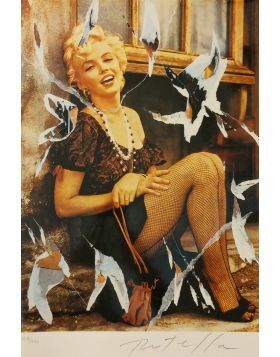 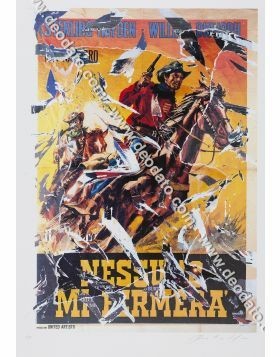 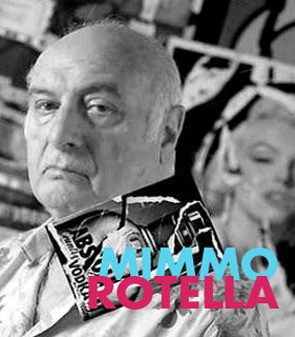 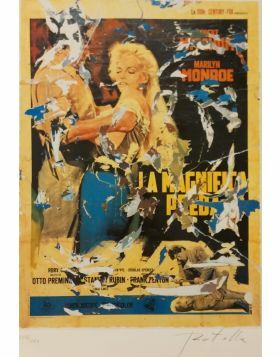 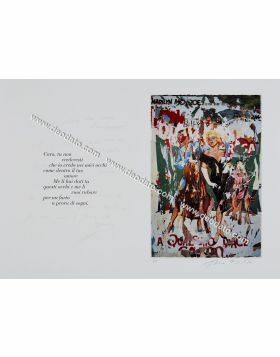 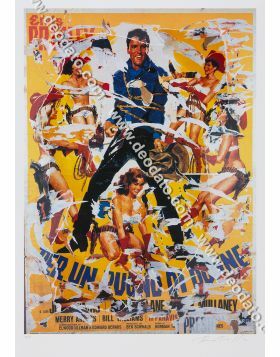 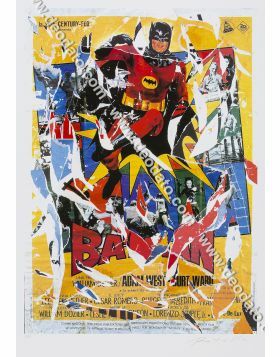 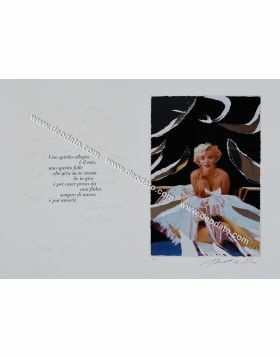 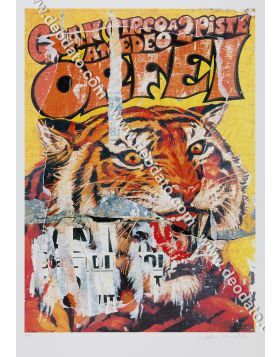 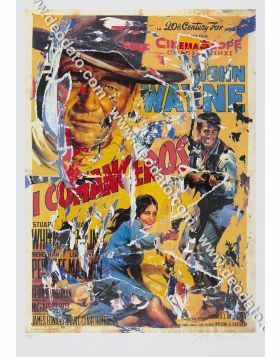 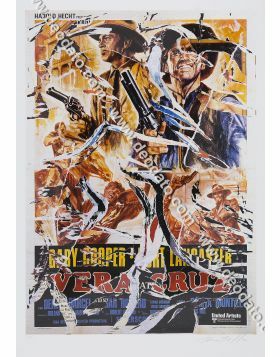 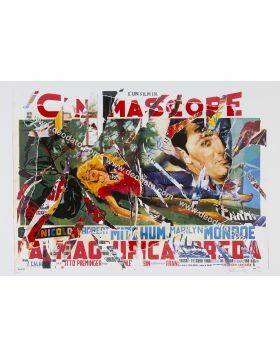 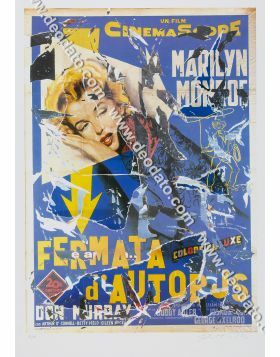 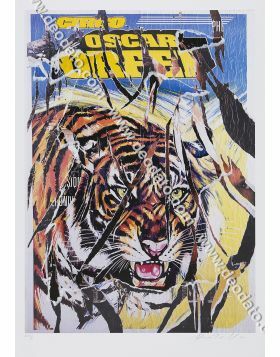 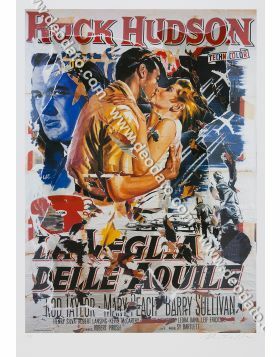 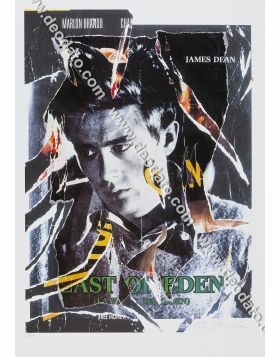 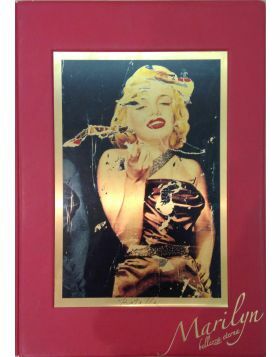 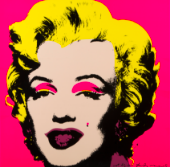 The atmosphere of the film, in its most famous scene of the Fountain of Trevi, relives in this manifesto, that becomes a seridecollage of author through the art of Mimmo Rotella.